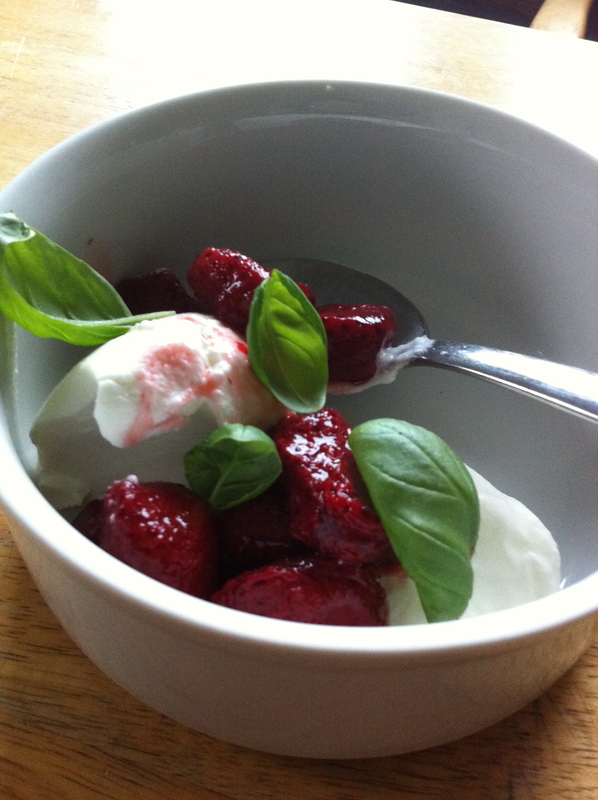 This entry was posted in Breakfast, Recipe and tagged Strawberry by mostlynoodles. Bookmark the permalink. So, what’s the deal with greek yogurt? I was buying yogurt to make tzatziki sauce last week, and while making sure I picked up plain rather than vanilla yogurt (! ), I noticed the greek yogurt. What is the difference? What does it taste like? Did I have it with my granola in your pre-reno kitchen?? Greek yogurt is a far better choice than regular yogurt. On average it has more protein (about 20g/serving) and less carbs. It is regular yogurt that has been strained through cheesecloth. This straining drains away the whey which not only makes it thicker, but means that all the protein in it is casein, which is a much slower digesting protein! As with all yogurts be careful with “flavoured” ones as they can have mucho calories!